Francesca, my grandmother, had dinner ready, and as soon as my mother washed up we three were at the kitchen table. Sometimes there was fish, which I hated and whose spines I dreaded choking on, but mostly there was pasta, prepared the Sicilian way, with little meatballs cooked with parsley and pine nuts. I hated everything my grandmother made. If there was money in the house, we had a dessert of nuts and cheese, but I wanted the apple pie I was sure all real American boys had when they concluded their meals. Sometimes we ate by candlelight. My mother pretended it was for the fun of it, but I knew she had once again forgotten to pay the electricity bill. I was ten, and even though my Sicilian was fair, all this talk meant little to me in any language, so I daydreamed that maybe my father would come back soon and bring me the cap gun I wanted. Maybe he would take me to the ball game at Yankee Stadium, as he had promised time after time. Or maybe he would just come home and that in itself would be everything. My mother was never happy when my father was not home with us. No sooner had we finished dinner and I had washed the dishes than she kissed me good night and went to her room to read in bed. My grandmother opened the screen separating her part of the living room and came to my cot. She was dressed all in black, as she did from the day her husband died, so she always looked like an old thin crow and was a bit frightening as she hovered over to kiss me good night. I could hear my mother crying in her bedroom, on the other side of the wall. Then silence. I could feel her light go out. One evening in the middle of dinner, the doorbell rang, and Carl, a giant in coveralls and work boots, came to tell us that Rex, my father, would be home the following week, maybe on Tuesday, or maybe Thursday, or maybe in two weeks. Carl wasn’t sure. We still had no phone, so this was the way my father got in touch with us: different giant men, shy at the door, came with Rex’s messages. My grandmother was always alarmed by these sudden appearances, and urged my mother not to open the door, not even with the chain attached, and to let the man say his words through the peephole. My mother, Madelyn, in one of her rare moments of happiness. With the news that Rex would be coming home, my mother burst alive. Over the weekend she sang, she hugged and kissed me every ten minutes. I helped her wash the windows, bringing her bowls of rinse water and drying the windows with newspapers. My grandmother was sent to do the shopping with a list my mother had scribbled to show the grocer and the butcher. She spoke very little English, so the list was necessary; it also asked to put the bill on our credit, which we had not paid for a long time. My father, from Savannah, Georgia, loved Royal Crown cola, pork sausages, pickled pig knuckles, pork chops, and hominy grits. Where did she find such stuff in our Jewish neighborhood, where we had moved a year after I was born, my mother telling me later that she wanted me to be raised among people who prized education rather than among the southern Italians not too far away on Arthur Avenue, where I would become a truck driver or a Mafia lowlife? My father was coming: my mother walked with a lilt and lightness—with joy. I was excited, too. I told my friends that my dad was coming home and was sure to bring me a cap gun, caps, and firecrackers, and that we were going to a ball game. It was the same thing I told them each time I expected him home, and I was met with snickers because I had said the same thing countless times before. I half believed it, but I knew from what passed between my mother and my grandmother that there was another story. Rex had another life in Jersey City, New Jersey. I was not sure even what that meant, but when the family met for Sunday dinners at my uncle Umberto’s seemingly palatial private home with its garden and fruit trees, this New Jersey life eventually found its way to the table, and with the same consequences. My mother defended Rex, said he was a wonderful man, that she loved him, and that he would soon return home. My mother rushed into the bathroom and sobbed behind the door. My uncle and aunt stood there, cajoling her to come out, saying that they loved her and just wanted her to be happy. Eventually she emerged, her mascara running. They all hugged and kissed and brought her back to the table and to the unfinished meal. By the end of the dessert of pears and a plate of cheese and nuts—my uncle cracked the shells for all—and a round or two of golden muscatel, made by my uncle and mellowed in casks in his cellar, all conflict and crying was suspended until we were home again, when my mother went back to her room, and back to her crying. I wanted to hug her and make her not cry. But she did not welcome me into her room and the night ended. I was left alone with my grandmother in the living room, where she went to her cot and I went to mine. I turned off the light and dreaded the morning. Monday meant school again, and I had not done my homework. I rarely did, and my mother, who had left grade school to go to work, had no idea what homework was and never asked why I wasn’t doing it. I often imagined myself becoming invisible at will and also able to fly whenever I wished, so I could escape a scolding from my teacher and the mockery from the other students, who were obedient and did their homework and kept their hands folded as they were told. One winter morning, when I was safe in my predawn sleep, when the snow muffled the sounds of passing cars and I could hear, even deep in my dreams, the comforting clinking and rattling of the chained tires as the cars plowed their way in the snow, the buzzer buzzed and kept buzzing, until my frightened mother and I woke up and went to the door. “Damn it, Madelyn, open up.” It was an unexpected, welcome voice that I had not heard in months. My mother checked the peephole before unlocking the door; she was angry and happy at the same time. It was Rex, grinning—his coat covered in snow, his head, too—with two pails brimming with water standing at his feet. He lifted them, bending to kiss my mother, and walked into the narrow kitchen. The wall clock said four. I was still half-asleep and plunked myself down in a kitchen chair. “Hello there, son,” he said. I put out my hand, like the little gentleman he had taught me to be. When we had last looked, the cars were buried in snow and I dreamed that school would be closed. “We were expecting you later,” my mother said testily. “It’s his school night,” she added, to give weight to his offense. “Tried to tell you, honey. I asked Carl to stop over with the news a week ago. Didn’t he come by?” He flashed that “Did I do wrong again?” look that I’d often seen him use on her. He gave me a wink, as if to say: See what we men have to go through? I winked back. She didn’t soften right off. But with his kissing and touching her in a way that made me feel shy to watch, she slowly did. She caught herself for a moment and took his hand from her breast. “Rex,” she whispered, nodding over to me. He gave me a big smile. “That’s all right, Madelyn,” he said. “He’s a big boy now.” That was wonderful to hear—a big boy, soon grown-up enough to go off on adventures with him wherever he went in the world, wherever men go to get the job of life done. He gave me a soft punch in the arm—one man to another. “Yes, sir,” I said. I wanted to hug him and have him do the same, but that kind of thing didn’t come from him, as it did from the Italian side of the family, who were always kissing and hugging each other whenever they felt like it. Crying, too, even the men. He was done with me and went to the business at hand. I had a few pennies and three dimes saved in a jar from when my uncle Umberto slipped them to me some Sundays past after church. Mom had part of the rent money, she said, but she couldn’t touch that. “Don’t be cheap. Just go and get it, honey.” He was beaming. “It’s for the rent,” she repeated. When we returned to the kitchen with our savings, Rex was on his knees and peering into the pails and giving each a stir with his hand. He cleared away the kitchen chairs, bringing them into the living room, where my grandmother usually slept on a fold-up cot. She was at her other daughter’s home on Laconia Avenue, farther up in the pastoral area of the Bronx, where my aunt Sadie and my uncle Umberto’s home flowed with electricity that was never interrupted by the bill collector. She chose the one closest to her and I took the other, the one my father would have bet on. He released the racers and let them crawl helter-skelter across the linoleum, putting them back on track from time to time and prodding them when they got lazy or gave out, which they often did. It was a long race and I soon grew bored and very tired. My mother did, too, pleading with Rex to return the lobsters to their pails and come to bed. “May I have permission to leave the table, sir?” I asked, half-asleep. If I left without asking, my father would blow up. I was not at the table but propped against the kitchen wall. I did not care about the lobsters anymore, or even about my father, only sleep. Without a word he carried me to my cot, tucked me in, and put his coat over me for extra heat. “Good night, my little man,” he said. It was still dark when I woke to their laughter in the next room. Rex was speaking in the low, soothing voice of a man calling down a kitten stuck in a tree. I returned to my cot but I could not sleep in all the excitement of the lobster race, in his being home, in our being men together. But finally, the first thin light of the day carried me swiftly to my dreams. 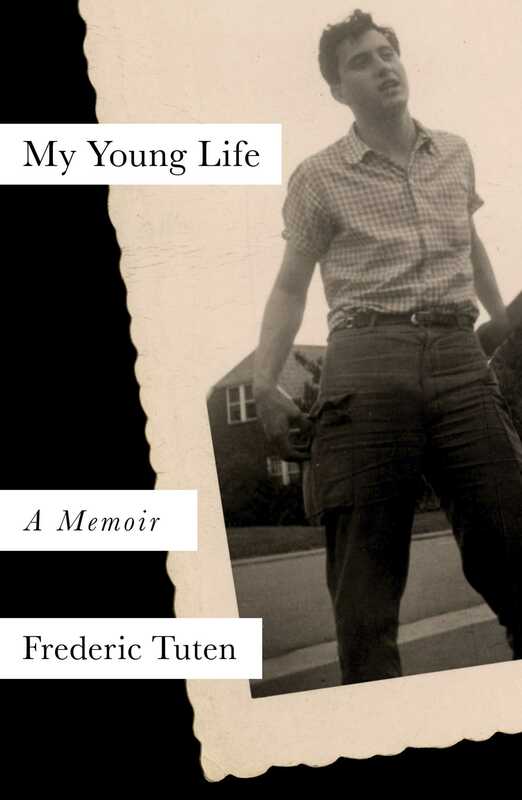 Frederic Tuten is the author of five novels and My Young Life, a memoir. 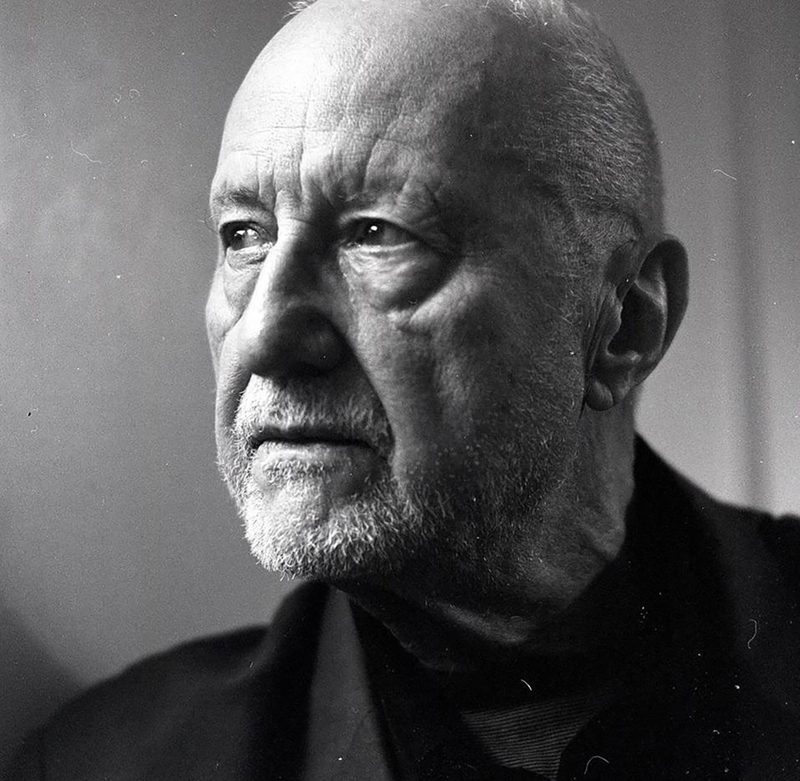 His short stories, art, and film criticism have appeared in such places as ArtForum, The New York Times, Vogue, Granta, and Harpers. Tuten is the recipient of a Guggenheim Fellowship for Fiction and the Award for Distinguished Writing from the American Academy of Arts and Letters.